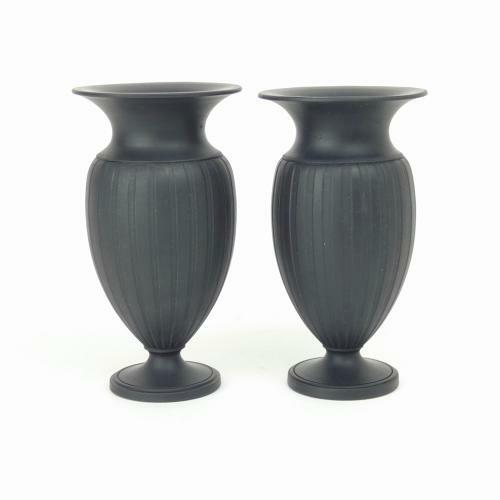 A fine pair of Wedgwood, engine turned, black basalt vases. Each vase is marked 'WEDGWOOD MADE IN ENGLAND' and they date from c.1920. They are particularly good examples for this period. The basalt has a smooth, silky texture and the engine turned design is crisp. They are a very elegant shape and they are both in excellent condition.